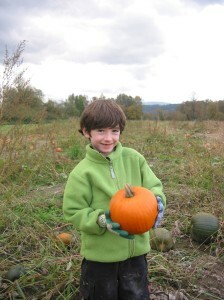 Author JohnnyPublished on September 25, 2013 1 Comment on Pumpkins, pumpkins, pumpkins! What could be more delightful than taking a short trip to the country on a (hopefully) beautiful fall day, sipping some delicious hot cider, and hearing some great music? We can't think of a thing! The Onlies are pleased to be playing the Oxbow Pumpkin Festival, at the Oxbow Farm and Education Center in Carnation, WA. If you don't know about this amazing Northwest resource, check out their website. They are outstanding farmers and teachers, and this event kicks off a busy pumpkin and harvest season for them. Six year old Riley thinks it will be a blast! Next article:3 gigs this weekend: Wahooo!!! We're excited to have you on the farm this weekend! yeehaw!